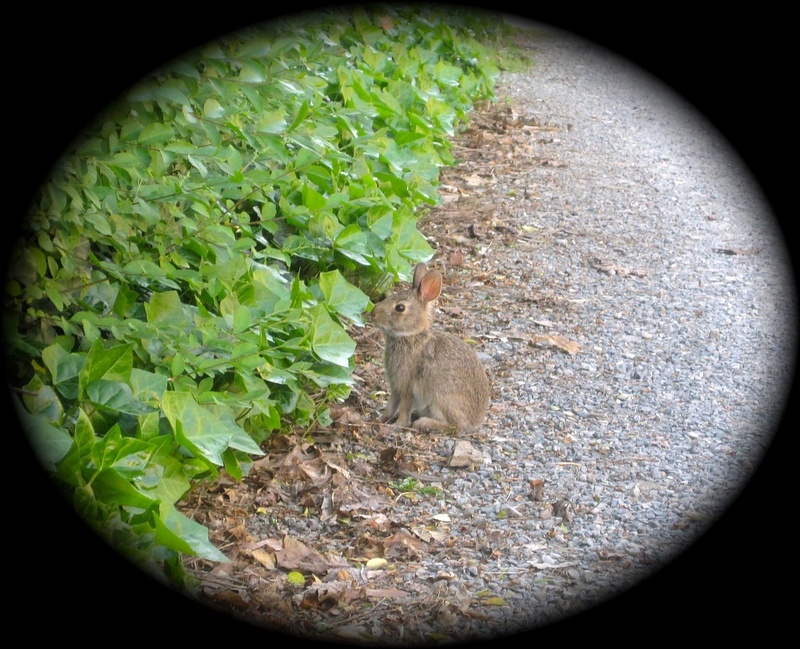 My latest stroll though the alleys of my neighborhood brought me quite close to a very young bunny. He sat and posed for me for several minutes before disappearing into the ivy. I felt very fortunate to have made his acquaintance and be able to capture it with my little Canon Elph. maybe you're the bunny whisperer! So cute and I like the framing you've used. Feel like I'm peeping through a hole in the fence into another world. Thanks, Jodie. That's the feeling I was trying to get. Since my camera wouldn't zoom enough for a really good close-up, I had to be creative. Awww, this is such a cute shot. Love how the green of the ivy really pops. Great editing, Allison. How precious! You've really captured how nature gave him the perfect color to blend right into his surroundings. The contrast of the bright green coupled with the soft framing makes for a touching photo. NIce shot Allison! I've tried several times to get a shot of wild rabbits around here but they tend to be really skittish and vanish at the slightest movement. This is great -- you were certainly to see this little bunny and to have it pose for you. Like the others I like how you framed it.